Think of your Instagram bio as the homepage of your website. What do you want people to know right away? How can it help you sell more? 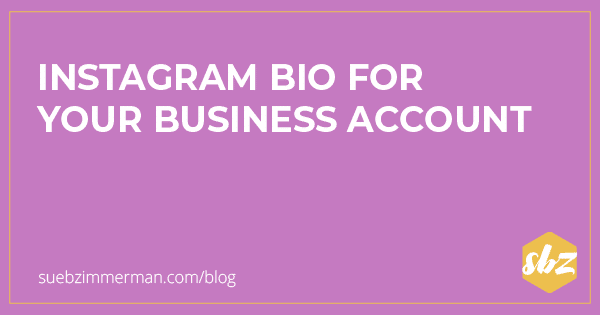 I’m going to break down how to build the BEST Instagram bio for your business. 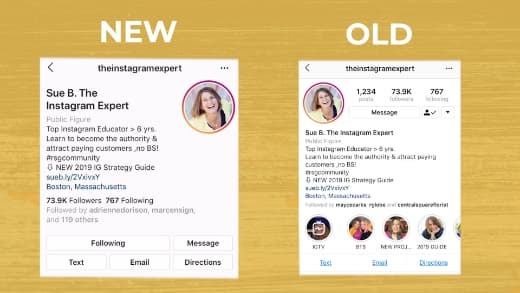 Putting together the perfect Instagram bio might seem easy, but it can take a lot of work to put it all together – especially if you’re new to Instagram marketing. Here are the seven things you need to know to make a good first impression with your Instagram bio. In case you haven’t seen it yet, Instagram is rolling out a new look and feel for bios. 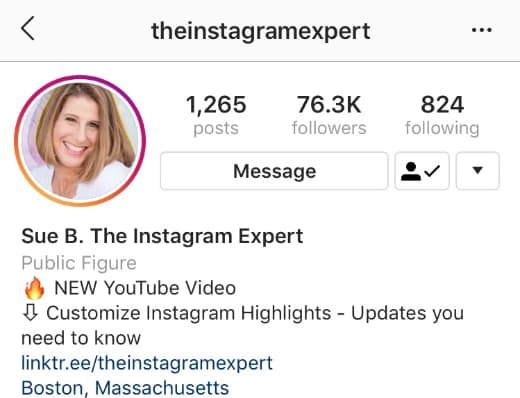 Not only is Instagram reworking the order of your bio, like putting your avatar on the right side, it’s also deemphasizing certain information. For example, in the new format your followers and follower count is at the bottom of your Instagram bio. Not only does that make your follower information less obvious, it shows that Instagram wants to prioritize who you are and what you do. One of the first ways to create a good Instagram bio is by having a high-quality Instagram profile photo. Whether it’s your business logo or a headshot, the image should be high quality. It’s perfectly fine to use a logo as your Instagram profile photo, just make sure it’s simple. Just take a look at Hubspot’s Instagram profile photo. Pro Tip: Your Instagram profile photo should be 110×110 px. A top-notch Instagram bio tells people who you are and what you offer. That’s why your Instagram bio subtitle is so important. People are using Instagram like Google by typing in keywords to find relevant accounts. If you include those keywords in your subtitle, your Instagram profile is more likely to show up in someone’s search. That’s what friend AJ Amyx, an online business and life coach, does in his Instagram bio. Keep in mind, your subtitle is a max of 30 characters. You probably know about the importance of links on Instagram, but what the contact buttons? More and more businesses are putting their direct contact information right in their Instagram bio. It makes a lot of sense. Utilizing your Instagram contact buttons not only improves your chances of having offline conversations with your followers, but it also makes it easy for them to reach out while you’re top of mind. 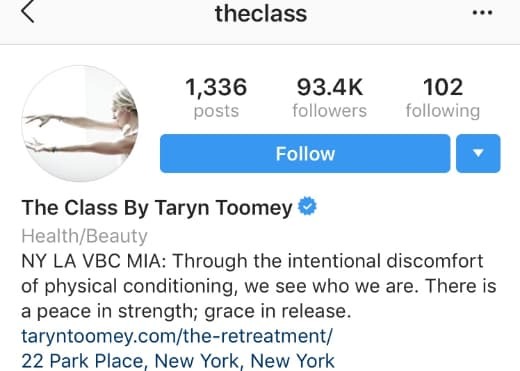 Taryn Toomey, a health and beauty expert, is a great example of someone who includes her physical location in her Instagram bio. No matter what kind of business you run, whether it’s a brick and mortar or online, it’s important to pick your Instagram business category. It only takes a few clicks to set it up in Facebook manager. Not sure how to do it? I cover it step-by-step in this YouTube video. As you can see on my Instagram Expert account, I’ve opted to choose the public figure category. While it’s easy to get wrapped up in creating the perfect Instagram bio, don’t forget Instagram is supposed to be a fun, engaging platform. 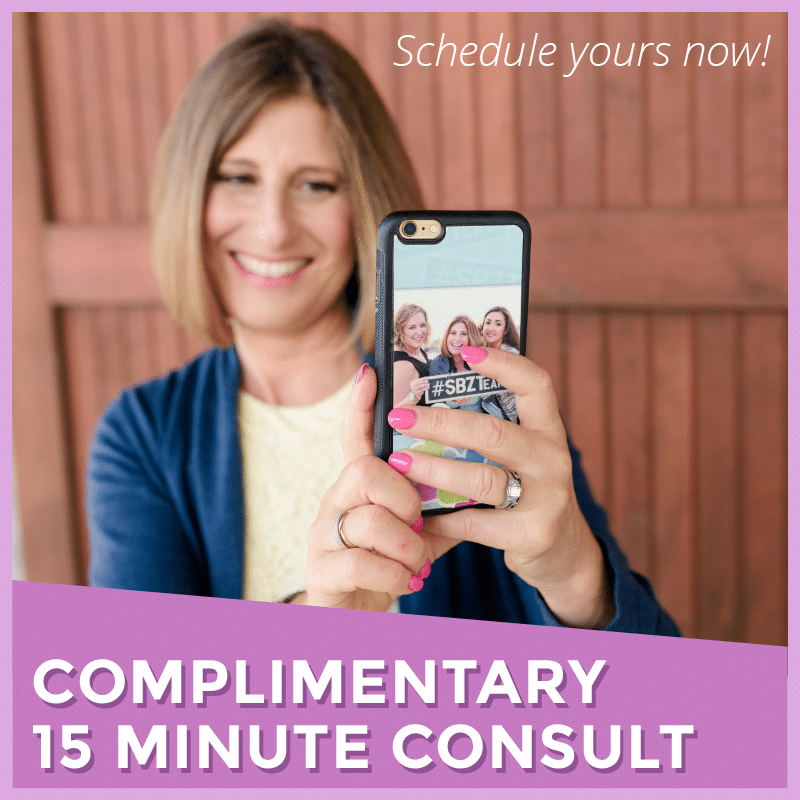 Your Instagram bio doesn’t have to look like your LinkedIn to make it work for your business. There’s a ton you can share in 150 characters. That’s why I love seeing accounts like Central Square Florist. As a fourth-generation florist, this small business uses its Instagram bio to call attention to its local roots and why it’s one of the most trusted florists in the Metro-Boston area. Want your followers to share more user-generated-content? One of the best ways to encourage your followers to share is by putting your branded or active hashtag in your Instagram bio. Not only will it get people in the habit of sharing your hashtag, but it’s a fun way to tie in more authentic branding. That’s exactly what I do for my Ready Set Gram community using #RSGCommunity. So far, there are over 12,000 posts in the hashtag hub! You know that Instagram is one of the strictest social media platforms for live links. That’s why it’s important that the link in your Instagram bio is always up to date. Whatever you choose to link to, whether it’s a blog post or special sale, make sure to tell people to “click the link in the bio” in your Instagram posts. To get around the link restriction, some accounts also use tools, like Linktree. 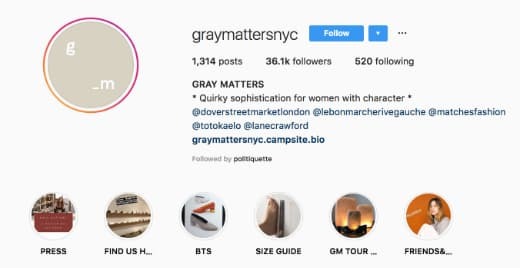 With Linktree you can include multiple posts all from one link, like Gray Matters NYC does. Ready to revamp your Instagram strategy from bio to caption? 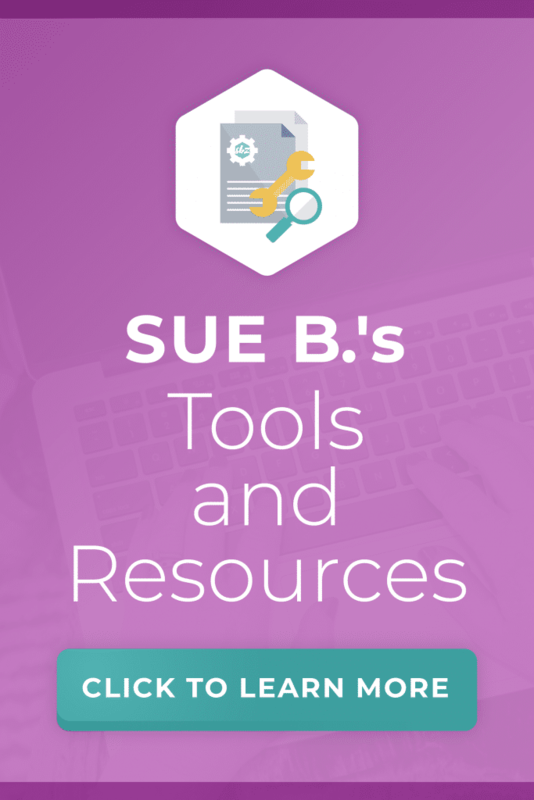 Grab my Free Guide! 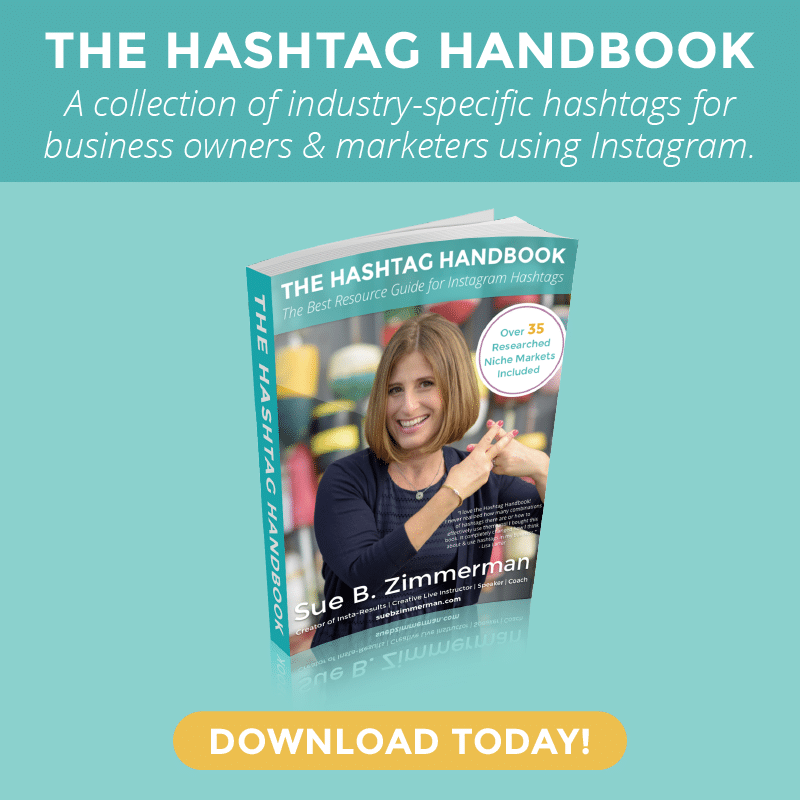 Download my FREE 2019 Instagram Strategy Guide. 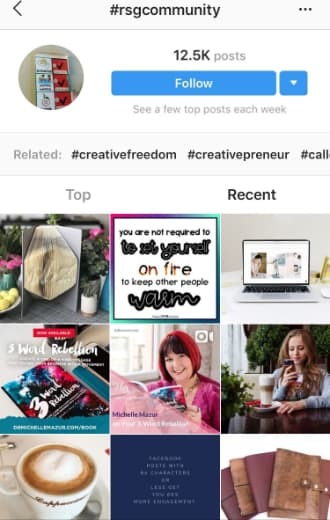 Learn the fundamental reasons why Instagram isn’t currently working for your business, and four strategies to get more followers and buyers so Instagram will be the most successful place to market your business.